For the record, the dude on the right is computer consultant, Linux enthusiast and COSPlayer Jay Maynard, AKA TronGuy. And yes, that suit does in fact light up. 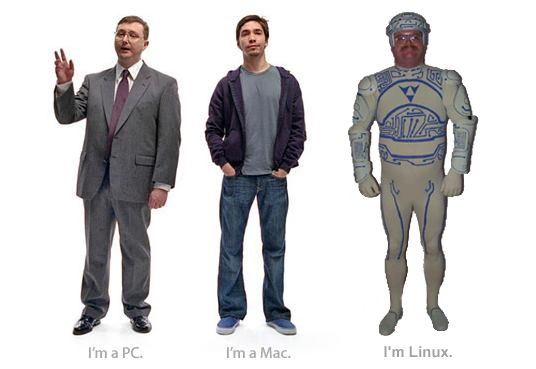 Ladies and gentlemen, the face of Linux.